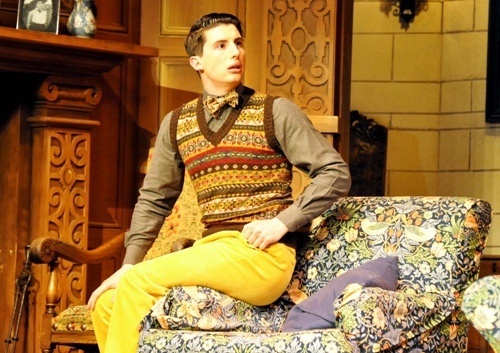 It has been running in London since 1952 but there's no stopping Agatha Christie's The Mousetrap. The touring version arrived at Birmingham's New Alexandra Theatre having racked up over 1,000 performances across the country. The promotional poster states 'Suspect Everyone' and that's just as it should be in a Christie 'whodunnit?'. 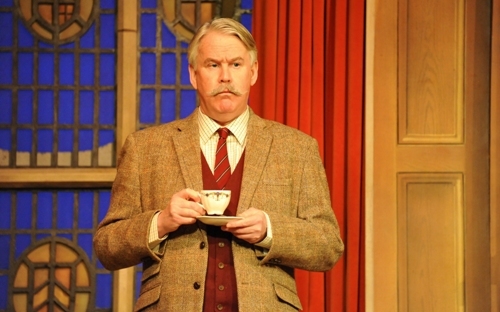 The Mousetrap ticks all the boxes of the classic murder mystery. A group of people are snowed up in a newly opened country guest house. All seem to be hiding secrets – the husband and wife, married for just a year, who own and run the establishment; the hyperactive young architect; the Major with an interest in old buildings (especially cellars); the grumpy old lady (who looks likes The Governess from TV's The Chase! ); the mysterious young woman who is reluctant to reveal where she's from; and the strange foreigner who just happens to stumble on the guest house after crashing his car close by. Into their midst arrives Sgt Trotter, who announces that there is a murderer among them – but who is it? I'm obviously not going to reveal the identity – that's a tradition the cast urged the audience to maintain at the end of the performance – but I will say it's a complex plot that's woven together beautifully by a first class cast directed by Ian Watt-Smith. 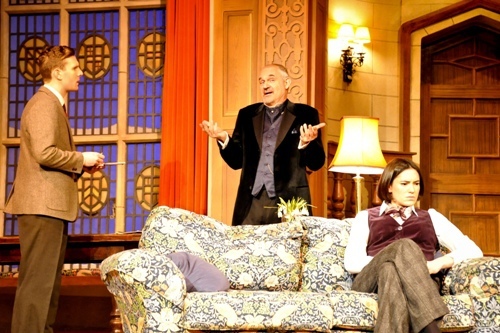 Anna Andresen and Nick Barclay as Mollie and Giles Ralston are believable as the inexperienced guest house owners, while Gregory Cox as the foreign gentleman Mr Paravicini and Oliver Gully as architect Christopher Wren do their best to see who is best at overacting. This leads to some well-deserved laughs from the audience. 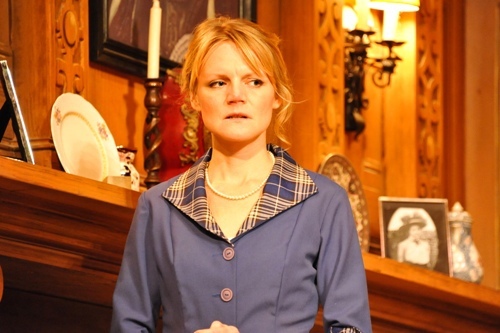 Amy Downham as Miss Casewell, is the opposite, underplaying the role as she tries to deflect any questions about who she is and where's she's from. Sarah Whitlock as grumpy Mrs Boyle also elicits some humour, while Tony Boncza as Major Metcalf appears to have wandered in from the board game Cluedo. It's a wordy play, full of explanation and exposition, and sometimes Lewis Collier as Sgt Trotter seems to rush his lines in order to keep to the running time, making it difficult to hear what he says. Just a minor moan and it didn't spoil the enjoyment of the production. Dec 5 – 10: Aberystwyth Arts Centre.